UPDATE: It looks like a lot of you are having issues printing the coupon. I’m not sure if they are out of prints or they are having issues with the coupon. There is a new Jamba Energy Drink Coupon. 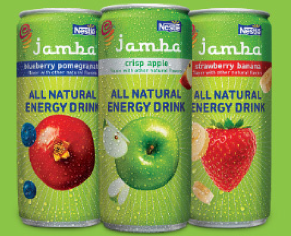 The coupon is for $1.50 off any Jamba Natural Energy Drink. This is actually a Nestle product. You will have to “like” Jamba Energy on Facebook in order to print the coupon. Connecticut, New Hampshire, New York, New Jersey, Maine, Maryland, Massachusetts, Rhode Island and Vermont. And can be found at the any of the participating stores.